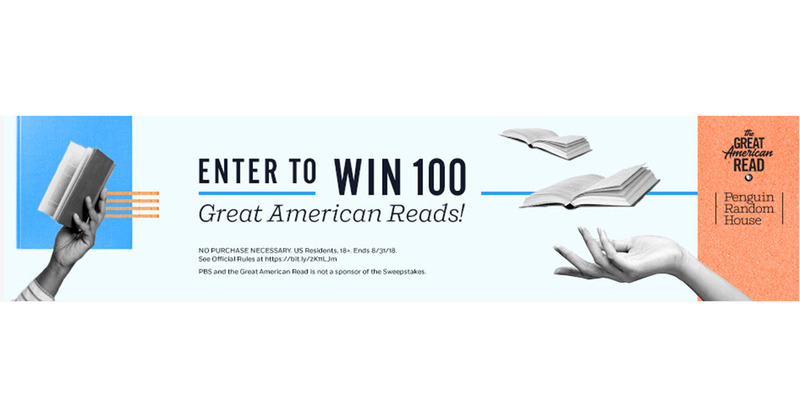 Penguin Random House has been running some great contests, and this is one of my favorites! One of the cool things about the site is that you can print the list, including authors, and mark off the ones you have already read to see which other ones you might want to read. You can enter the contest to win all 100 books plus vote for your favorites on the list. The contest ends August 31, 2018. Do you agree with the list? Which books on it are your favorite? Which do you think shouldn’t be included? Favorite on there is probably “Little Women,” although I found it interesting what series were considered (Call me old-school, but Hatchet)? and not others like Little Women, The Giver. I felt like a lot of these are books people like to say they’ve read or referenced-how many people hole “Great Gatsby” themed-weddings, proms, etc. Looking for Alaska surprised me, because per Green’s own admittance, you can tell he started writing it in his teens, I think they just includeded it because it’s a “new” challenged book. It’s interesting to me that most of the books that are on there that I read in school are NOT books my kids read in school and vice versa. I read Frankenstein, Wuthering Heights, The Great Gatsby, Their Eyes Were Watching God, Great Expectations, and To Kill a Mockingbird in school. They read The Book Thief, The Outsiders, 1984, The Giver, and The Joy Luck Club. I tried to read The Book Thief twice while they were reading it and just couldn’t get into it (despite both of them loving it). As much as I love John Green, I am not a big fan of Looking for Alaska. And I’m not sure how anyone could ever call Fifty Shades of Grey “beloved”!! I can see it on some “most read” lists for other reasons but “beloved”?? ?